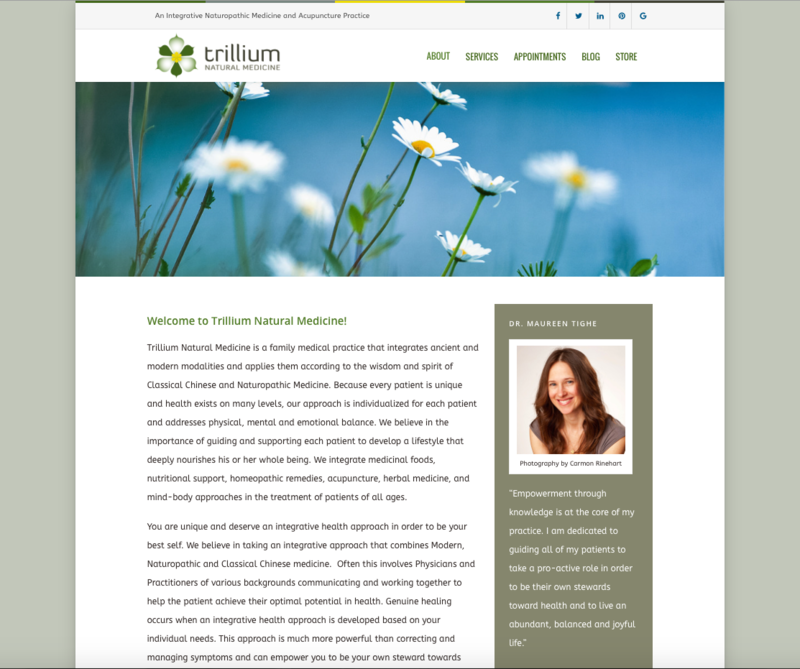 Trillium Natural Medicine needed a site redesign and to boost their SEO. 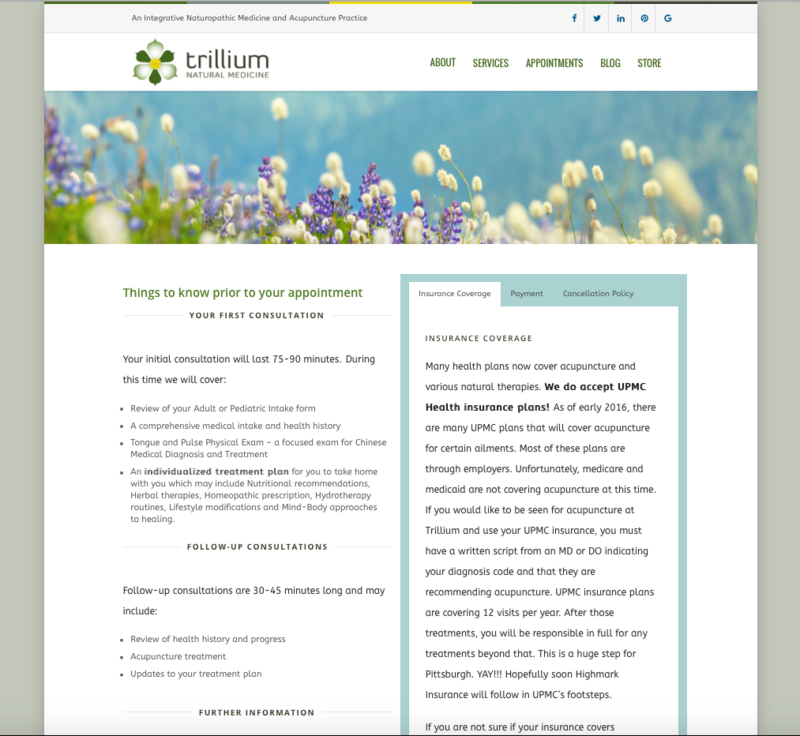 Created a new pleasing site design that conveyed the tranquility and wellness you feel when you are in treatment. 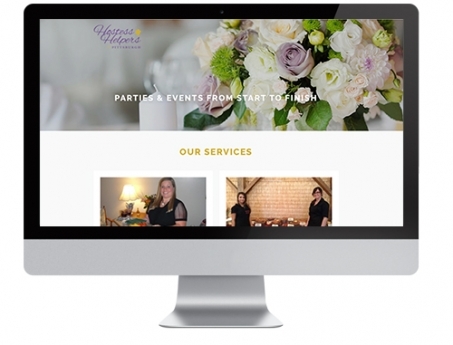 The site is responsive and interacts with Genbook, the appointment software they use. 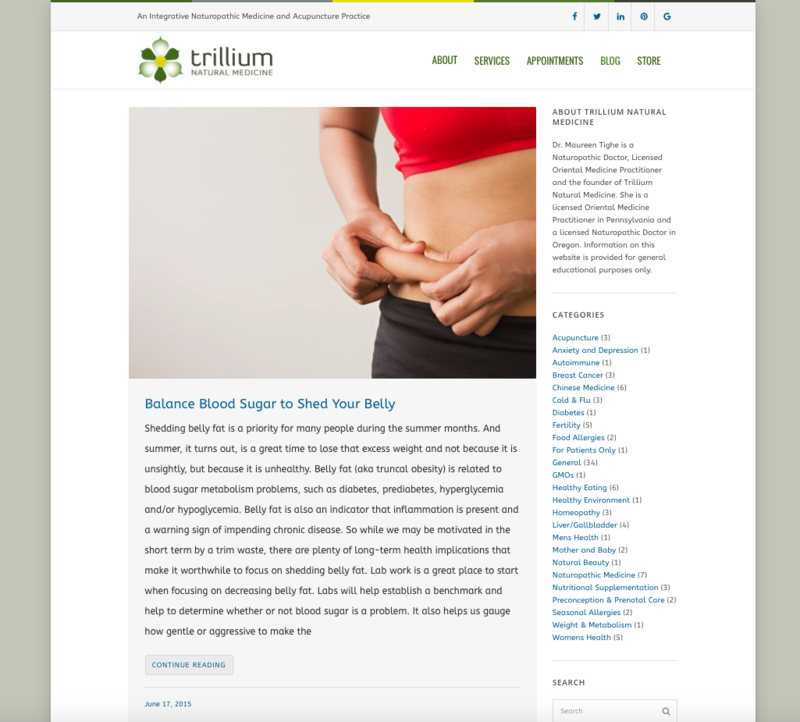 Improvements have been seen in site positioning within search engine results. 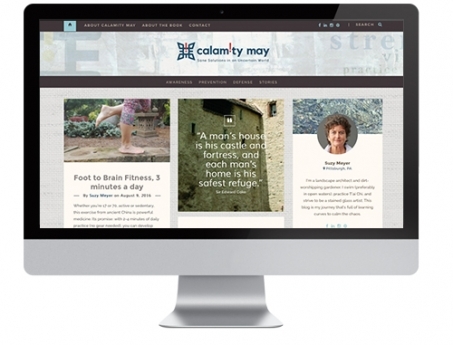 Bookings have increased.